← What Does a Raccoon Eat? What are Professional Raccoon Removal and Control Services? Raccoons are certainly capable of causing damages to a person’s property, Indiana. This is probably why they are most known for their mischief-making ways. Unfortunately, raccoons that live in rural or city areas are considered nuisance wildlife because they frequently trespass onto commercial and residential properties. Once on these properties, they do their best to gain entry inside the shelter; such as a barns, sheds, garages, attics, crawlspaces, under porches, and more. If they can gain entry into covered shelters, they can still take refuge within the foliage and landscaping of a property. Whether they are inside or outside, while raccoons can make quite a mess and cause a wide range of damages. For this reason, we have raccoon control services. 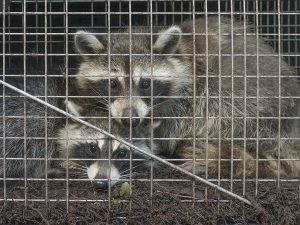 When you call a raccoon control company, you are seeking to enlist the team of trained and licensed animal removal and control technicians for help getting rid of raccoons. These kind of companies provide various services for when wild raccoons trespass onto residential or commercial properties. Depending on the type of company and their experience in the industry, these services can range from novice level to top-of-the-line professionals. The more accomplished and experienced the company is, the more services and amenities they offer clientele. Lower-on-the-branch companies might only offer simple and basic raccoon removal services that do not require a license in the state of which you live. More complex raccoon removal jobs require state licensing and certification, as well as, extensive experience and training within the industry. 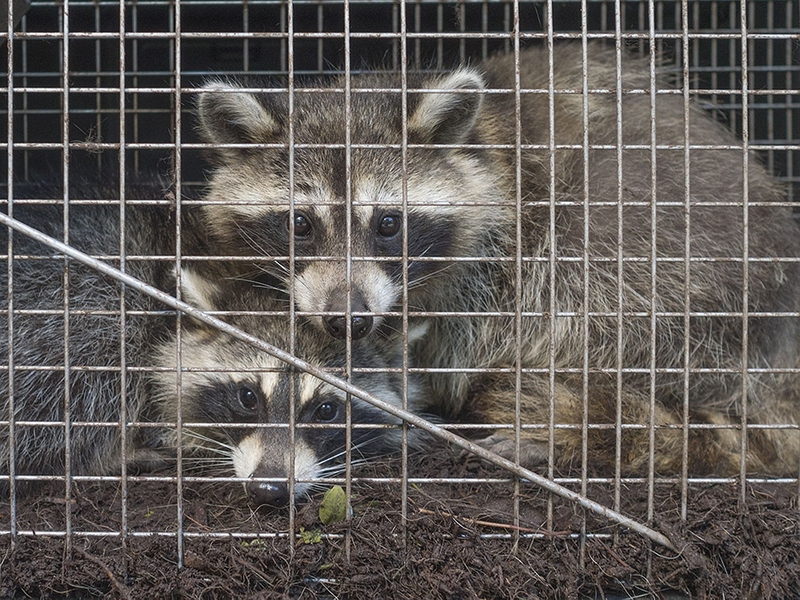 This is because higher-trade raccoon control services facilitate minor restoration and repair for attic damages, crawlspaces, roofs, landscaping, and more. Higher-level companies also retain the proper resources and teams to remove larger colonies, baby raccoons, and larger-sized raccoons. They are the ones who are certified to provide a certain type of raccoon extraction; and typically use only safe and humane methods to remove raccoons. If you think you might have raccoon problem or raccoons in the attic, call a local wildlife control technician right away. The longer you hesitate, the more damages raccoons can cause to your property. The more property damages they cause, the more costly the repairs will be. Keep in mind that homeowners insurance does not always cover animal damages because they believe it is that homeowner’s responsibility to prevent animal and patient in the first place. Raccoon control services can also offer raccoon prevention in order to stop raccoons from invading your property. Call 317-535-4605 for Indianapolis raccoon removal and control you can trust. We are DNR licensed and insured nuisance wildlife removal contractors who offer a wide range of 24 hour raccoon removal and control services, including raccoon cleanup, raccoon proofing, minor restorations for raccoon damages, and more. Call 317-535-4605 to request a free estimate or emergency service, today. 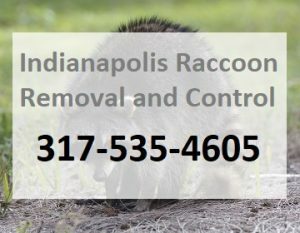 This entry was posted in Raccoon Removal and tagged emergency raccoon removal, get rid of raccoons, Indianapolis raccoon control, indianapolis raccoon removal, raccoon cleanup services. Bookmark the permalink. Spotting Raccoons on Your Roof?